Jessica Marie Alba was born on April 28, 1981, in Pomona, CA, to Catherine (Jensen) and Mark David Alba, who served in the US Air Force. Her mother has Danish, Welsh, German, English, and French ancestry, while her father is of Mexican descent (including Spanish, Indigenous Mexican, and distant Sephardic Jewish, roots). Her family moved to Biloxi, MS, when she was an infant. Three years later her father's career brought the family back to California, then to Del Rio, TX, before finally settling in Southern California when Jessica was nine. In love with the idea of becoming an actress from the age of five, she was 12 before she took her first acting class. Nine months later she was signed by an agent. She studied at the Atlantic Theatre Company with founders William H. Macy and David Mamet. A gifted young actress, Jessica has played a variety of roles ranging from light comedy to gritty drama since beginning her career. She made her feature film debut in 1993 in Hollywood Pictures' comedy Camp Nowhere (1994). Originally hired for two weeks, she got her break when an actress in a principal role suddenly dropped out. Jessica cheerfully admits it wasn't her prodigious talent or charm that inspired the director to tap her to take over the part--it was her hair, which matched the original performer's. The two-week job stretched to two months, and Jessica ended the film with an impressive first credit. Two national TV commercials for Nintendo and J.C. Penney quickly followed before Jessica was featured in several independent films. She branched out into TV in 1994 with a recurring role in Nickelodeon's popular comedy series The Secret World of Alex Mack (1994). She played an insufferable young snob, devoted to making life miserable for the the title character, played by Larisa Oleynik. That same year, she won the role of "Maya" in Flipper (1995) and filmed the pilot for the series. She spent 1995 shooting the first season's episodes in Australia. An avid swimmer and PADI-certified SCUBA diver, Jessica was delighted to be doing a show that allowed her to play with dolphins. The show's success guaranteed it a second season, which she also starred in. Her involvement in the show lasted from 1995 to 1997. In 1996 she appeared in Venus Rising (1995) as "Young Eve". The next year she appeared on The Dini Petty Show (1989), a Canadian talk show, and spoke about her role in "Flipper" and her general acting career. She began working on P.U.N.K.S. (1999), featuring Randy Quaid, in 1998. In early 1998 she appeared in Brooklyn South (1997) as "Melissa". That same year she was in two episodes of Beverly Hills, 90210 (1990) as "Leanne" and in two episodes of Love Boat: The Next Wave (1998). She appeared in "Teen Magazine" in 1995 and various European magazines over the following years. More importantly, she was featured in the February 1999 issue of "Vanity Fair" magazine. She also had major roles in two movies that year: Never Been Kissed (1999) and Idle Hands (1999). In 2000 she had roles in Paranoid (2000) and starred in the sci-fi TV series Dark Angel (2000), gaining worldwide recognition. 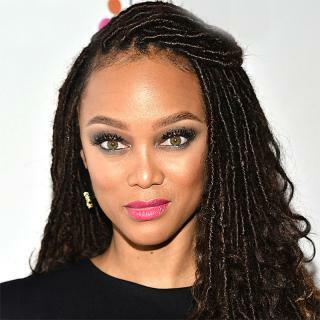 Her first starring role in a major studio film was the Honey (2003), Universal Pictures' contemporary urban drama that grossed over $60 million worldwide. She has since made over 25 feature films that have earned a combined box-office total of over $800 million, including comedies and dramas, from gritty independents to major studio blockbusters. In 2005 she starred opposite Bruce Willis and an all-star cast in the provocative and critically acclaimed Sin City (2005), directed by Robert Rodriguez and Frank Miller. She next starred as Sue Storm--"The Invisible Girl"--in Marvel's action-franchise blockbuster Fantastic Four (2005), which was released by 20th Century-Fox in July 2005 and became a worldwide box-office success with over $300 million in revenue. Jessica was part of Garry Marshall's all-star ensemble romantic comedy, Valentine's Day (2010), which broke box-office records with the largest opening on a four-day President's Day weekend in history. She starred opposite Casey Affleck and Kate Hudson in director Michael Winterbottom's controversial screen adaptation of The Killer Inside Me (2010), based on Jim Thompson's novel, as well as Robert Rodriquez's Machete (2010). She co-starred in the third installment of the hit "Meet the Parents" franchise Little Fockers (2010), as well as the 4D family adventure Spy Kids: All the Time in the World in 4D (2011), marking her third of five collaborations with Robert Rodriguez. Jessica was part of an all-star voice cast for The Weinstein Company's animated adventure, Escape from Planet Earth (2013), also featuring Sarah Jessica Parker, Brendan Fraser and James Gandolfini. She appeared in the comedy A.C.O.D. (2013), which premiered at the Sundance Film Festival and starred Adam Scott, Jane Lynch and Amy Poehler. She made a cameo appearance in Machete Kills (2013) and co-starred in Robert Rodriquez's highly-anticipated, star-studded sequel Sin City: A Dame to Kill For (2014). That year she had a full slate of acting projects, including the period drama Dear Eleanor (2016)"; The Englishman opposite Pierce Brosnan and Salma Hayek; the IFC parody mini-series The Spoils of Babylon (2014), produced by Funny or Die, with a stellar cast including Will Ferrell, Kristen Wiig, Tobey Maguire, Michael Sheen and Tim Robbins; and Stretch (2014), co-starring Patrick Wilson, Chris Pine, Ray Liotta, Ed Helms and Brooklyn Decker. Jessica has received Golden Globe and People's Choice Award nominations, was voted TV Guide readers' Breakout Star of the Year, and won Favorite TV Actress at the 2001 Teen Choice Awards for "Dark Angel." She won the Nickelodeon Kids' Choice Award for Favorite Female Actress for her performance in "Fantastic Four" and an MTV Movie Award for Sexiest Performance in "Sin City." She received another Teen Choice Award for Choice Movie Actress in a Horror/Thriller for The Eye (2008) and was honored by the Young Hollywood Awards as Superstar of Tomorrow in 2005. She has received ALMA Awards for her performances in "Dark Angel" and "Machete," as well as a Fashion Icon in 2009.